Think You Might Ovarian Cancer? Pain, discomfort, swelling in the abdomen, pelvis, or adjacent areas of the body. There may be other signs of ovarian cancer and these might not mean anything at all in your case. It is important to discuss any changes in your health and wellness with your doctor to determine their significance. 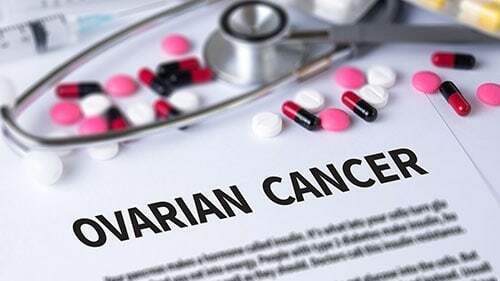 You should certainly see a doctor if you think your symptoms might put you at risk for ovarian cancer or if you think you are predisposed to this medical condition. Prevention and screening are crucial with this disease so the more information the better. Rosenfeld Injury Lawyers LLC works with personal injury victims. If you have been using talcum powder and worry that you might be suffering from ovarian cancer, then you need to call our offices because we can get you the recovery that you deserve. Plus, we can help you on contingency which means that you don't pay if we don't win. Contact Rosenfeld Injury Lawyers LLC now and begin down the road to recovery today.